At the same time bestselling author and motivational speaker Clifton Taulbert participated in the GlobalMindED leadership conference in Denver last week along with an audience of college students, a young man took nine lives in a church in Charleston, South Carolina. As Dylann Roof was being arraigned, Taulbert spoke to the conference about his memoir The Invitation, which recounts reconciliation between Taulbert and a South Carolina plantation owner who revives in Taulbert memories of his childhood in the Jim Crow South. At Friday noon in South Carolina, young Dylann Roof would appear before the court, and in Denver, I would address the conference. I briefly spoke to the conference and the young people in particular — reading from The Invitation — the recent story of my encounter with a nearly ninety-year-old Allendale, South Carolina plantation owner whom I had met at the turn of the century. Our paths crossed for five years and during those years, I witnessed the possibilities of what can happen when the lingering lessons of race and place come face-to-face with the promising possibilities of the future. I wanted the audience of bright minds and even brighter futures to know that the tragedy in Charleston was our shared tragedy — not a news item soon to be replaced by another breaking story. I challenged the young people and the adults who listened in to embrace the idea that we have the capacity to both innovate and transform our culture. Beyond the conference venue, there was indeed another world — a world that needs not only the best of our minds, but the habits of our hearts in daily action. I know this is possible! I had witnessed transformation at work in Allendale’s Roselawn Plantation when Miss Camille Cunningham Sharp intentionally built in my presence the community that had eluded my childhood. Read Clifton Taulbert’s full remarks in “Two Different Worlds, One Week” from the Huffington Post. 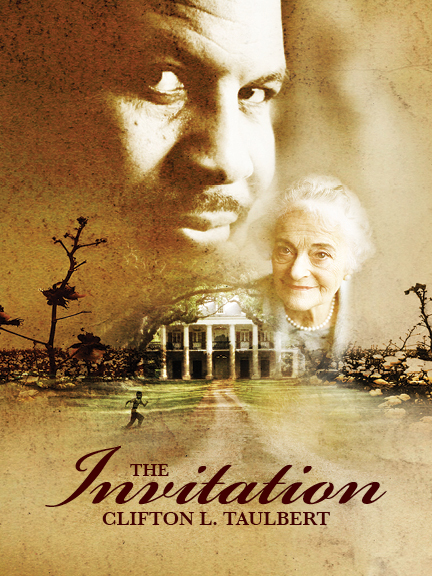 Clifton Taulbert’s The Invitation is available from NewSouth Books or your favorite bookstore. Andrew Glaze, Poet Laureate of Alabama and author of the forthcoming poetry collection Overheard in a Bookstore and also Remembering Thunder, has been inducted into the Alabama Writers Hall of Fame. The event was hosted by the Alabama Center for the Book and sponsored by the Alabama Writers’ Forum. 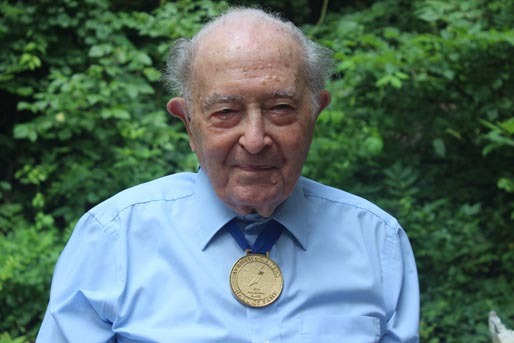 Glaze, currently in his nineties, was the oldest living recipient of the award. In addition to Andrew Glaze, other notable inductees include Harper Lee and Pulitzer Prize-winner Rick Bragg. Posthumous recipients included Zora Neale Hurston, novelist Albert Murray, and writer Helen Keller. An Associated Press article on the event was carried nationwide, including in the Park Record of Park City, Utah. 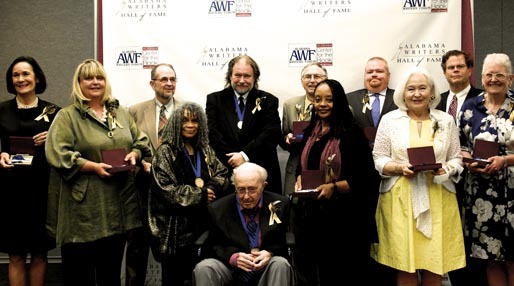 At the Alabama Writers Hall of Fame induction ceremony, from left: Cathy Randall (for Harper Lee); Keller Johnson Thompson (for Helen Keller); Bert Hitchcock (for Johnson Jones Hooper); Sonia Sanchez; Andrew Glaze; Rick Bragg; John Jeter (for Sena Jeter Naslund); Valerie Boyd (for Zora Neale Hurston); Paul Devlin (for Albert Murray); Kathleen Thompson (for Helen Norris Bell); Edward Russell March III (for William March); Mary Lou Meaher (for Augusta Jane Evans Wilson). Photo by Elizabeth Wyngarden Limbaugh. 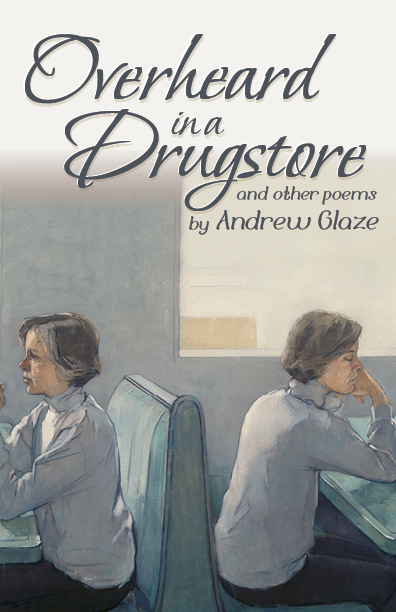 Overheard in a Drugstore will be available directly from NewSouth Books, Amazon, or from your favorite bookstore. You are currently browsing the NewSouth Books weblog archives for June, 2015.